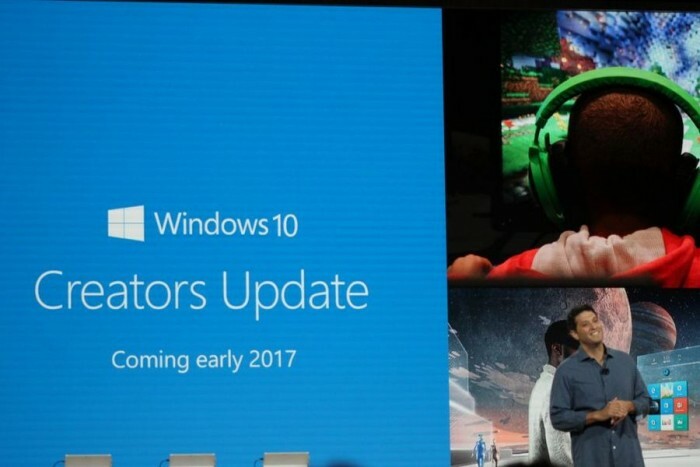 Windows 10 Creators Update is about to launch online, do you intend to upgrade it? 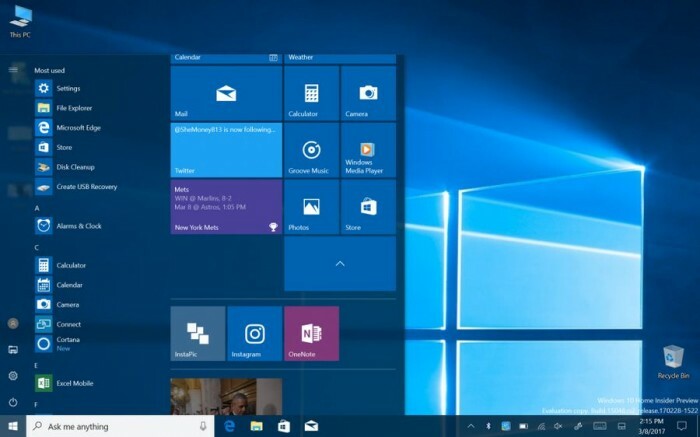 If you are not a member of the Windows Insider or do not pay close attention to Windows 10 news and information, then in the next article will detail the new version of the interface changes. 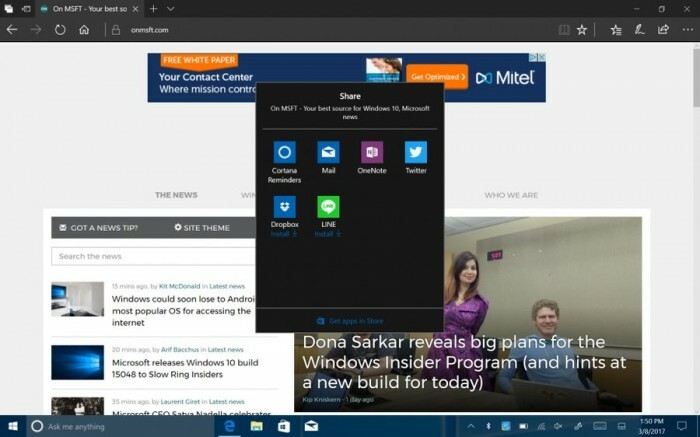 In Windows 10 Creators Update, Microsoft redesigned the share menu. 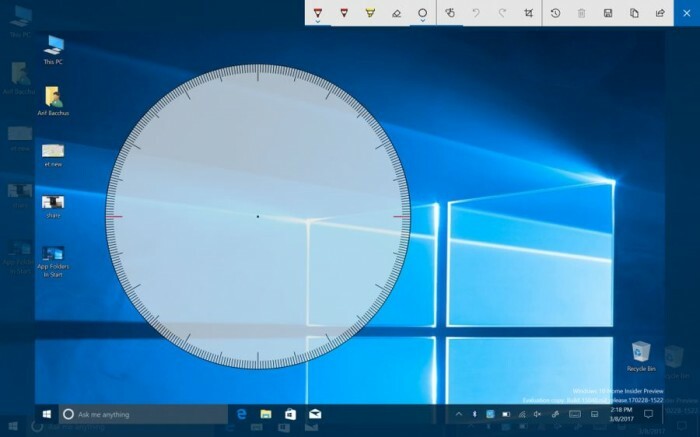 Microsoft not only to share the function of re thinking and positioning, and brings a new application icon, the key is to replace the sidebar design from Windows system since 8. 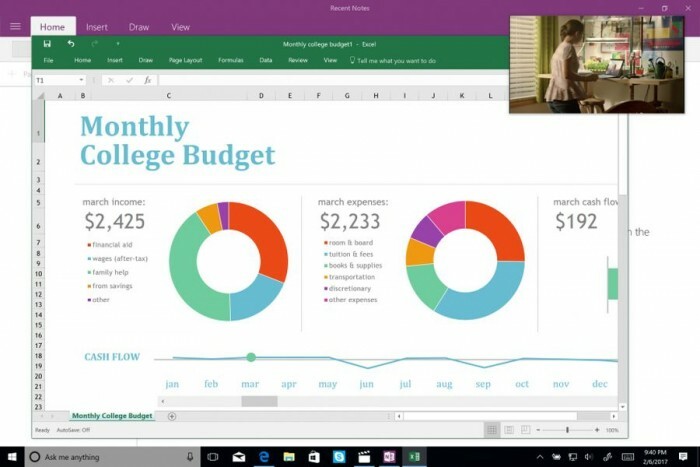 Virtual touch panel is a new feature introduced in Creators Update. 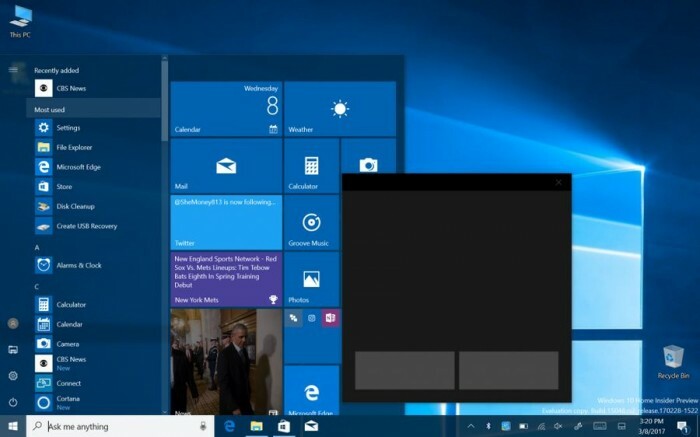 If you are using a device connected to multiple monitors with touch capabilities, this feature allows you to easily control the Windows 10 experience. 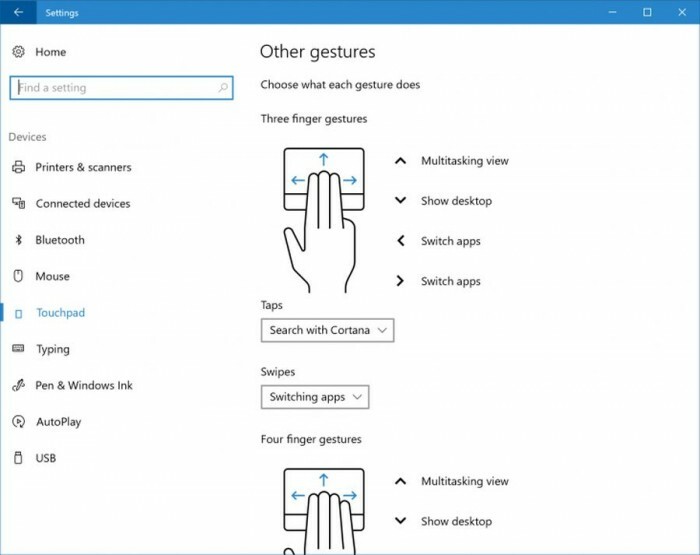 If you are currently using the Windows 10 device with a touchpad, then in the upcoming Windows 10 Creators Update will introduce a new set so that you can give full play to the ability of the touchpad. 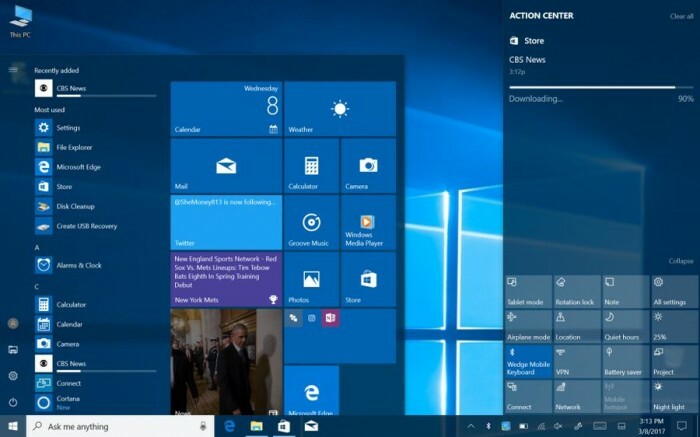 Windows 10 users may be pinned on the start menu to select a lot of applications, which will lead to confusion when looking for applications. Fortunately, in Creators Update, Microsoft will allow users to use the application folder on the start menu. Application folder function operation and Windows Phone as well as Windows 10 Mobile the same way to create a folder by drag and drop. If a folder in the application to deploy a dynamic magnetic stickers function, then when the information is updated to activate the display, the folder size can also adjust the size. In addition, in Creators Update, the user can access the settings personalized start, in Hide app list Start menu select Hide all application list. This will make the start menu more simple and concise, to achieve the minimum. The user can access the function in the setting of "Night Light" screen settings, the user can set the temperature according to their own preferences, according to the daily time with computer to automatically open / close this function. Windows Ink was originally introduced in the Windows 10 anniversary update, and in the upcoming Creators Update contains a lot of improvements. In Creators Update, if you accidentally shut down, the screen graffiti will automatically save. In addition, Window Ink also added a multi display support, add a circular protractor new screen virtual Ink tools. 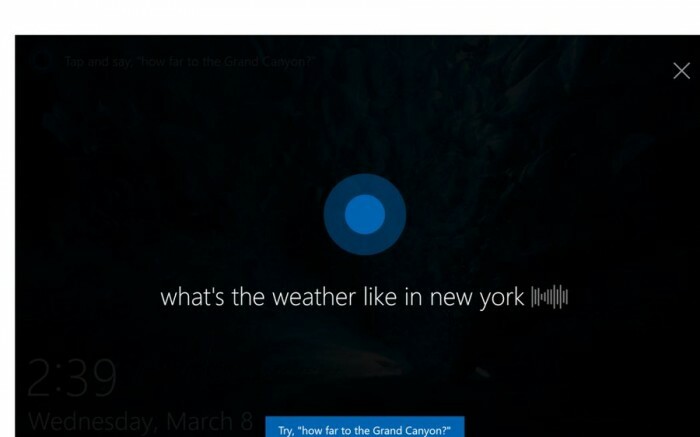 Cortana can become more intelligent in Windows 10 Creators Update. The voice assistant in the lock screen state can be full screen display, can help you turn off the computer, restart the computer, lock the screen, enter the sleep state or adjust the system volume. The digital assistant even supports audio playback controls. In addition, Cortana can enhance the experience of setting up Windows 10 system, Creators Update can help you set up the first update in PC. 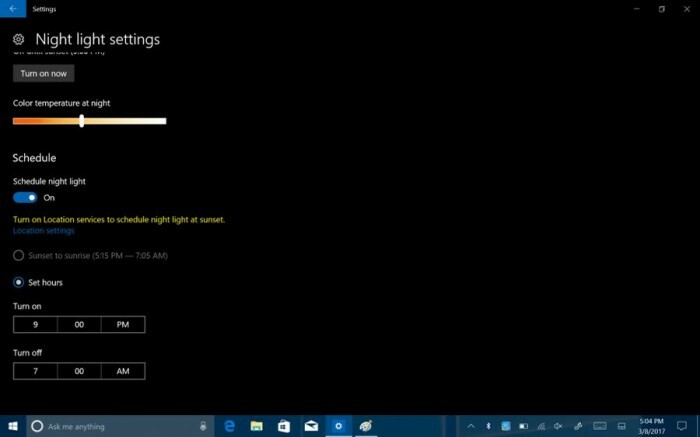 Although Windows Insider members did not really test this feature, but hinted at the Creators Update Action Microsoft Center will have a simple and refreshing new user interface, in addition to the slider to adjust the volume and brightness. 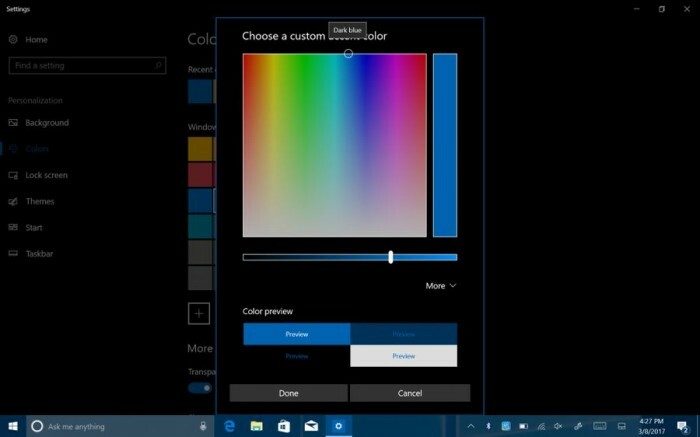 This feature has not been released through the Windows Insider channel, but Action Center also received a lot of other updates, such as group application notifications and progress bars, etc..
Windows 10 Creators Update will allow users to select personalized color as a system color. In addition, in the new version, users can access Windows Store, download the theme of various elements.